Highly anticipated: Last month saw Samsung send out invitations for its next Unpacked event. Taking place in Brooklyn, New York, on August 9, it will officially show off the Galaxy Note 9 to the world. Now, an alleged image of the handset has arrived online along with its potential price. Once again, we have regular leaker Ice Universe to thank for the picture. 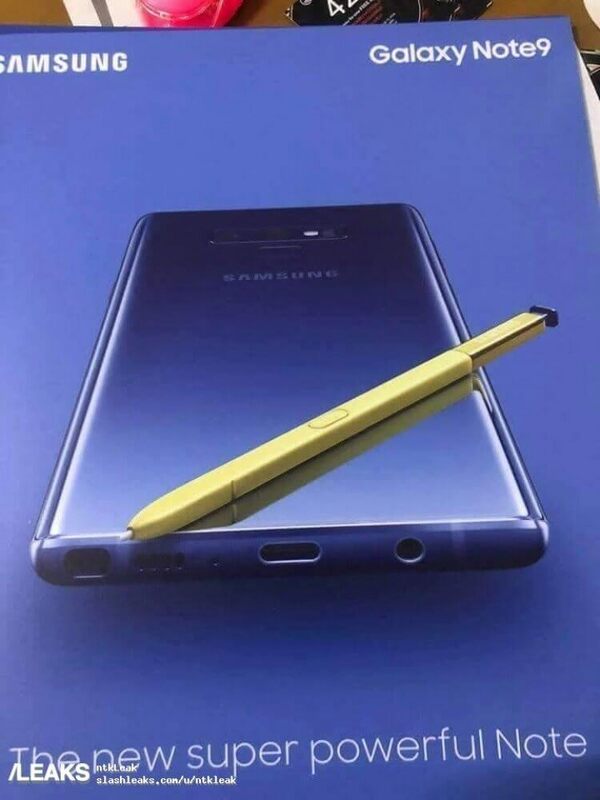 They tweeted what’s said to be a full-page advertisement for the Note 9, which shows off the rear of the handset and accompanying S Pen. Much like the S9, the Note 9 appears to offer only incremental design upgrades over its predecessor. The dual rear cameras, flash, and heart monitor remain from the Note 8, though the fingerprint reader has moved to a more central position, thankfully. The images confirm what many suspected: Samsung’s long-awaited, screen-embedded fingerprint reader won’t be arriving in the Note 9. It seems as if we’ll have to wait for next year’s Galaxy S10 for that. The image also shows the Note 9’s USB Type-C port, speaker grille, and S Pen slot. And while other companies keep dropping the long-used port, Samsung’s devices continue to retain the 3.5mm headphone jack. The phone’s expected to be slightly bulkier than the Note 8 and feature a 6.4-inch display, a Snapdragon 845 processor, 6GB RAM or 8GB RAM, and a 4,000mAh battery. The stylus could feature a Bluetooth connection in the latest model, adding new functions such as music playback. One big question hanging over the Note 9 is its price. Will Samsung 'do an Apple' an introduce a $999 starting point? Apparently not. Polish tech blog Spider's Web, citing a source within a Samsung team being trained for the Note 9’s release, reports that the standard version will cost 990 euros. Converting to US dollars and removing the 20 percent tax gives a price of $960.